When I love something, I LOVE IT! When I LOVE IT, I LIKE TO SHARE IT! I was reading blog posts about two weeks ago, came across a blog button that caught my eye and thought it was totally adorable. So I decided to check it out. 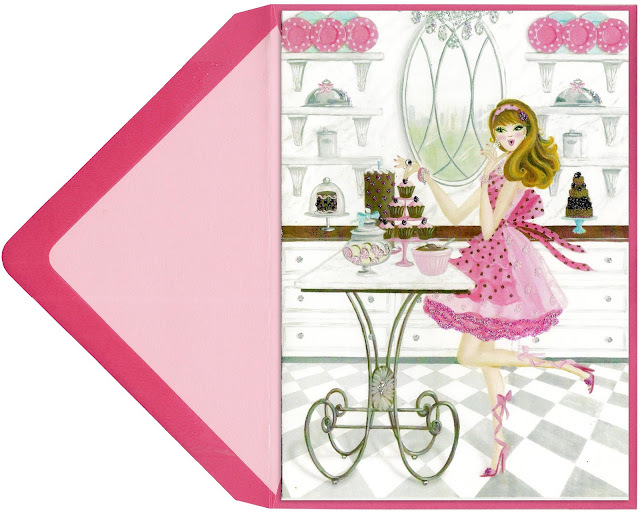 The name of the blog is Ooh La Frou Frou. 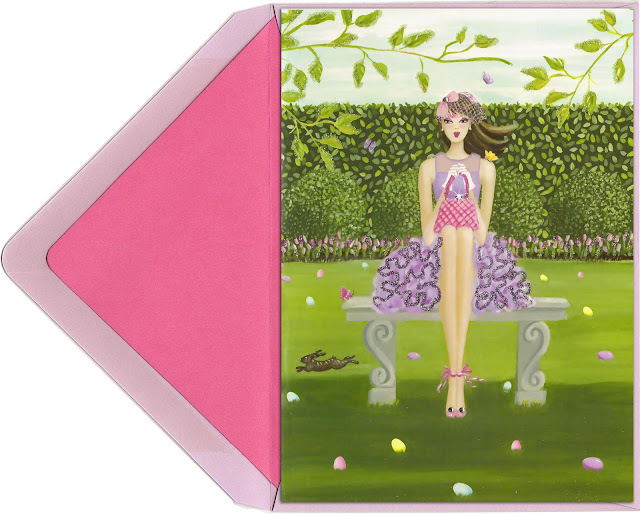 Sandra Shelton Markwalder is the talented illustrator/blogger behind Ooh La Frou Frou. She posts once or occasionally twice a week. She came up with 8 characters (Aimee, Hope, Belle, Alex, Cherie, Violet, Sunny & Tiffany) that star in her blog. Each is a representation of what we love: entertaining, interior design, glamour, the beach, shopping, New York, Paris, fashion, Audrey Hepburn and MORE. Her topics are simply exquisite. 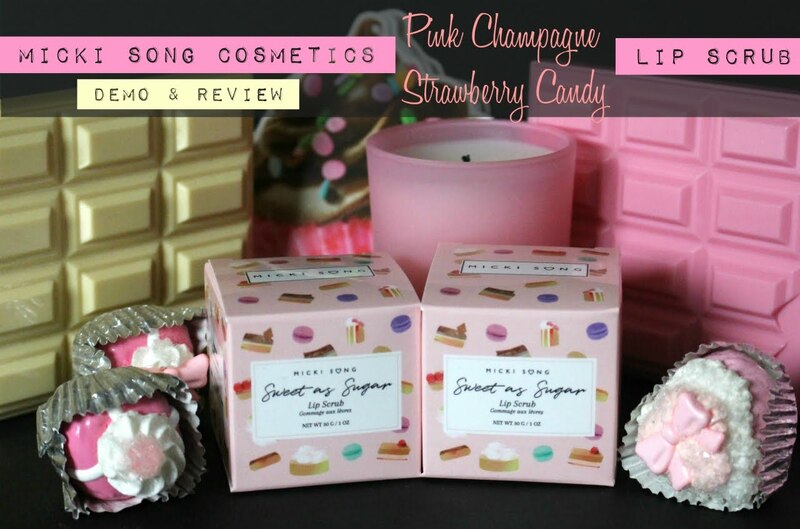 If you're a girly glamorous girl (and all of my readers are), you should definitely check her blog out and subscribe. 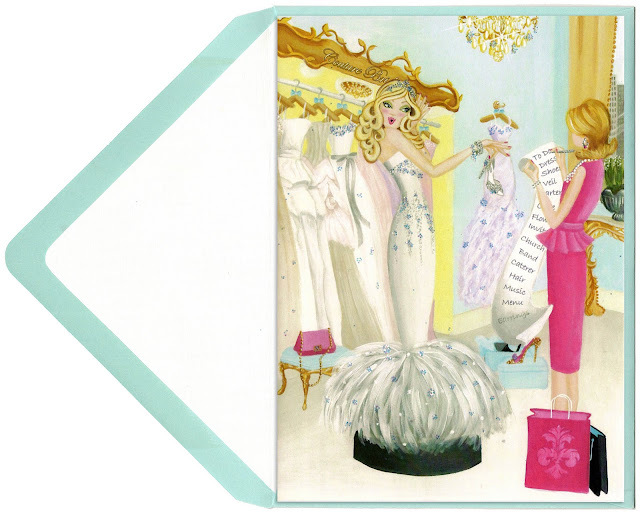 Not only is her blog exquisite, but Sandra creates glamorous greeting cards that are equally as fabulous. I love a pretty card! She has cards for ALL occasions. I couldn't post all of them...but just take a look! NEW ones are added all the time. You can read testimonials on her page. Do you love them? I'm feeling a giveaway! Why? Simply because I LOVE them. So enter below and I'll pick a winner Thursday! Good Luck! Do ONE or ALL to enter! Leave ONE comment letting me know what you did to enter! 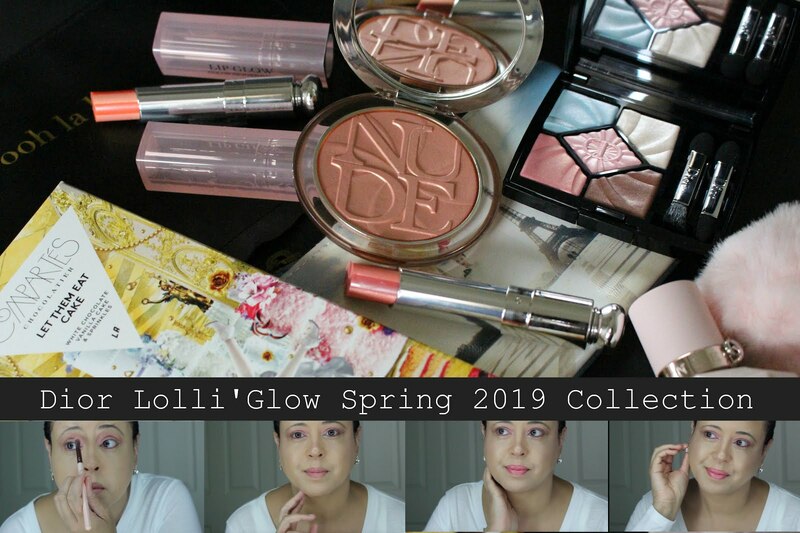 *This giveaway is not sponsored by Ooh La Frou Frou. It is sponsored by me. How darling are these cards?!? I love them, and they'd be so cute to send girlfriends little notes in! You know follow you on GFC! Hope you had a good weekend Kim! SO cute!! I LOVE prints like that! Bah, super cute girliness! I love sassy gal illustrations. Thanks for sharing, Kim! I follow you on GFC and Twitter! :) Have a great week, girl! These cards are so chic and cute! I love them all. sandra is so very talented - must have a look at the blog - I know I'm going to be follower!! Thanks for pointing me in the right direction!! what an interesting concept! i so wish i was creative like that. You always introduce to me to fab things. These cards are so sweet and I love them I am going to check out her blog now. I follow on GFC and would love to be entered in the giveaway. I love the summer ones! Yellow is my favorite color :) You have the cutest giveaways. I have to check this website out. I follow you on GFC. That Mother of the Bride card is soooo adorable. Either way I need to get that for my mom! Her illustrations are so cute and chic, Kim. I love and will definitely check these out. Please enter me, I am forever your stalker. Hope you had a relaxing weekend Kim. I love these! I follow you on GFC, Facebook, Twitter, and Bloglovin. Aw her artwork is so cute and glamorous. It reminds me of the ideal high end lifestyle filled with awesome shopping, coffee, and lunches. :) I follow you on GFC, thanks for hosting such a lovely giveaway. Follow you on GFC and Bloglovin'! Love these! I follow you on twitter, gfc, and bloglovin! Hi Kim! 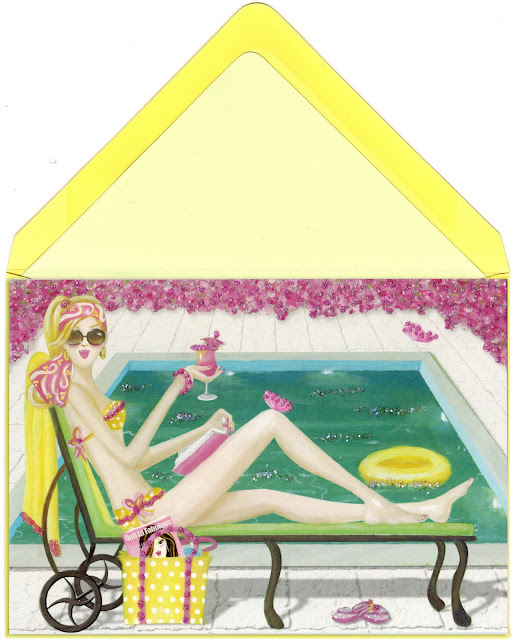 How nice to find your blog via Ooh La Frou Frou on her Fanpage on FB. I've been Sandy's follower for a while and her blog is so exquisite. Her stationary is so sparkly, girly and fun. I would love for you to follow my blog as well. I am following you on Twitter! Yay..Find me @Fashionista622. I am also following you on BlogLovin! :) Great giveaway! Love these cards. They're so beautiful! I'll have to check out her blog. these illustrations are adorable! 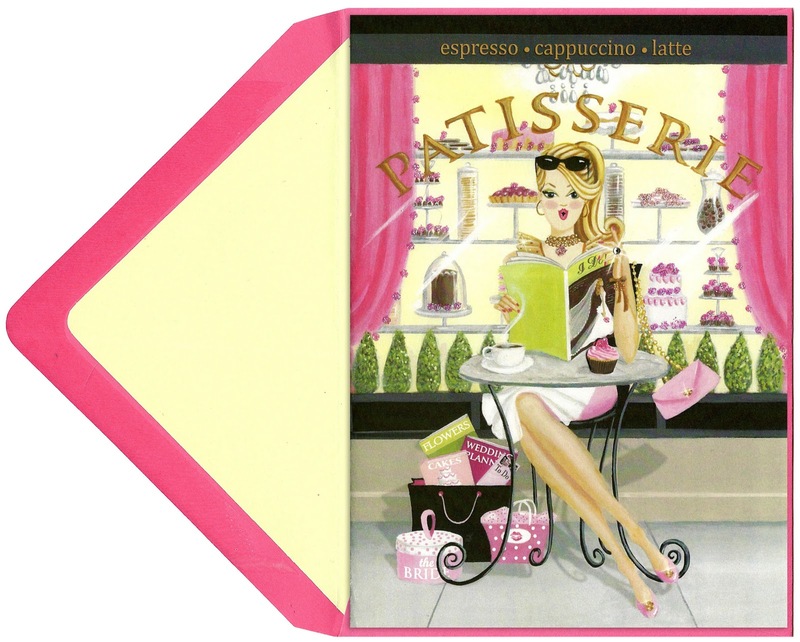 I would love the note cards, it's always nice to send out snail mail greetings to your fabulous friends. oh wow! her blog seems like the epitome of creativity. i love the characters and these note cards. 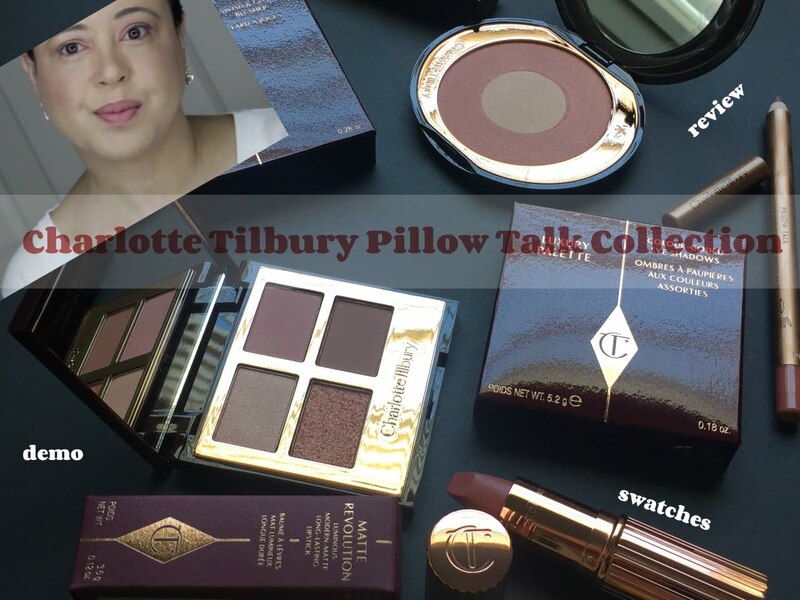 please enter me in this wonderful giveaway! i follow you on GFC and bloglovin! those greeting cards are FABULOUS! oh oh oh , Kim! I love them all! The illustrations are great :) and what a lovely giveaway! I totally follow you, of course on GFC, Twitter, Bloglovin, and fb! How awesome and fashionable are these illustrations! Love it. I follow you on GFC and thought I followed you on twitter and now I am going to! Hope you had a great weekend girl. You discovered the cutest blog ever! I love everything. The illustrations and cards are just amazing! I am on my way to this blog! i am a follower on your GFC & twitter. thanks for the awesome giveaway, Kim! I LOVE the "City Girls"!! I am always checking up on them girls. When I read oohlafroufrou's blog I feel like a just went on a dreamy vacation. So glamours! I'm addicted! I tell everyone about them. I am now following you on twitter. I am so glad to have bumped into you....I really like your blog. I'm following via Blog Lovin'! oops...my email address for the last three entries is emailtwentysomething@gmail.com. This sounds like such a fun concept and I love all of the cards! I'm so excited about this giveaway. 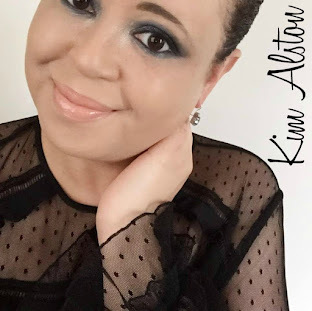 Thanks for hosting it Kim :) I follow you GFC, Twitter, & Bloglovin. Cute cute cute!!!! Wish I could enter the giveaway but I'm up here in Canada. : ) I will for SURE be checking out her website!!!! I LOVE this kind of cute stuff! 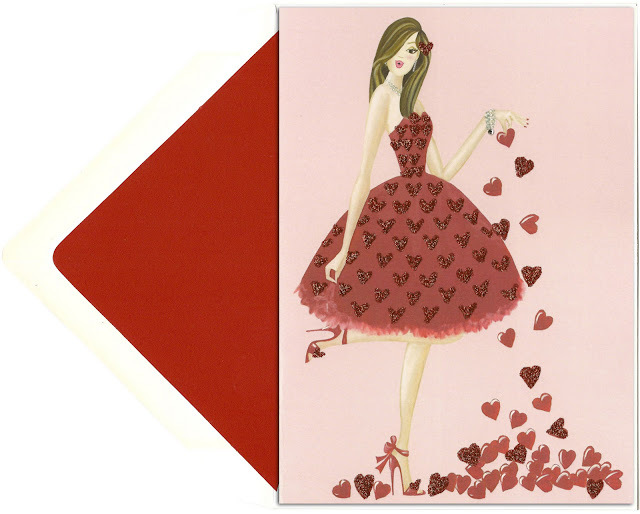 the greeting cards are so cute and girly! sorry...forgot my email. and i also follow on twitter. OMG this is sooo soo so fabulous - love the girly with the doggy! Thanks for sharing! it's too bad for me that this giveaway is just for American residents. the drawings are so fun! I love this. I think I am a follower of everything other than facebook. Because I dont have a proper facebook that is active. My email address is thoughtsofpaps@gmail.com Have a US address. 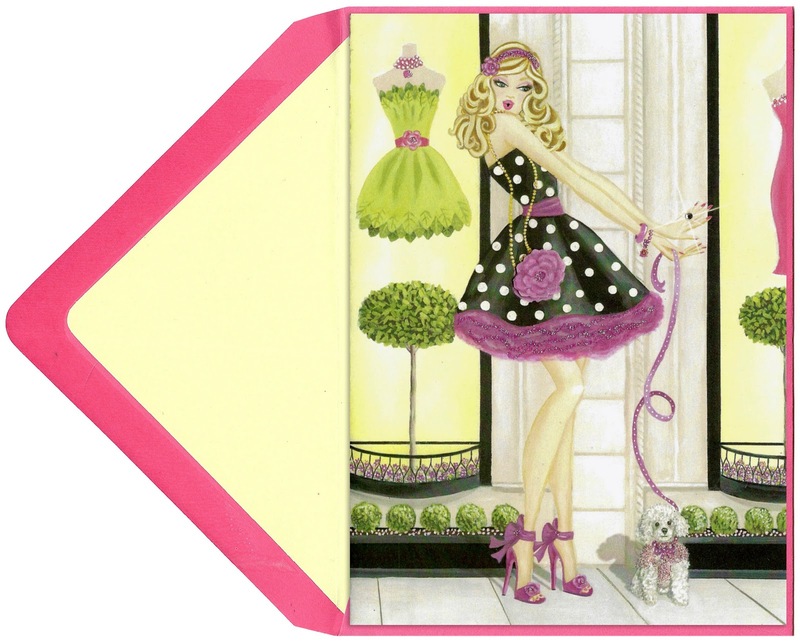 I just LOVE Ooh La Frou Frou! I follow you on GFC and on Facebook. Thanks for hosing such an awesome give-away! That is one interesting blog! And yes I'll admit those cards are cute. Wow, that girl is seriously talented! I love stationary, I always did. I'm going to check out the site and I'm sure will be falling in love! The giveaway is closed but Sandy's fabulousness lives on :-) She is so very talented and such a cool lady!